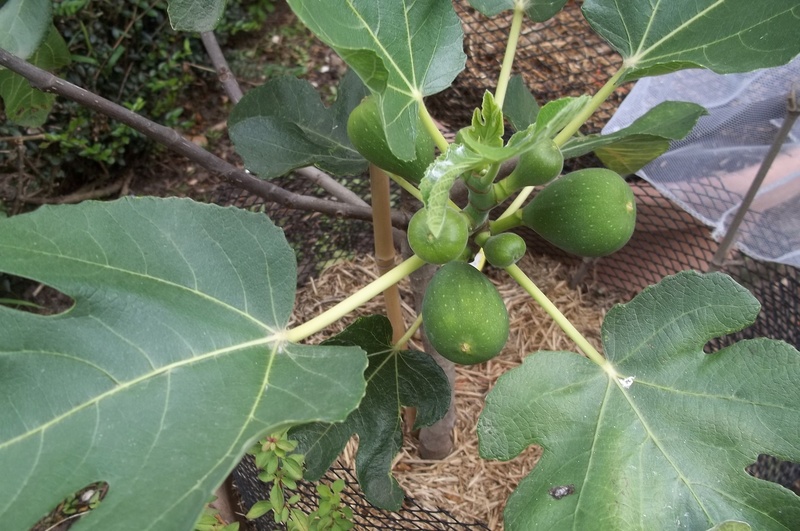 My potted figs are doing well this year, they are fruiting and soon I will harvest them. But in the mean time a protection from the birds have to take place. Netting for the trees is necessary to keep the birds away, as last year they enjoyed the fruits before us. Yesterday the net and netting sleeves were fixed, and hope for the best. 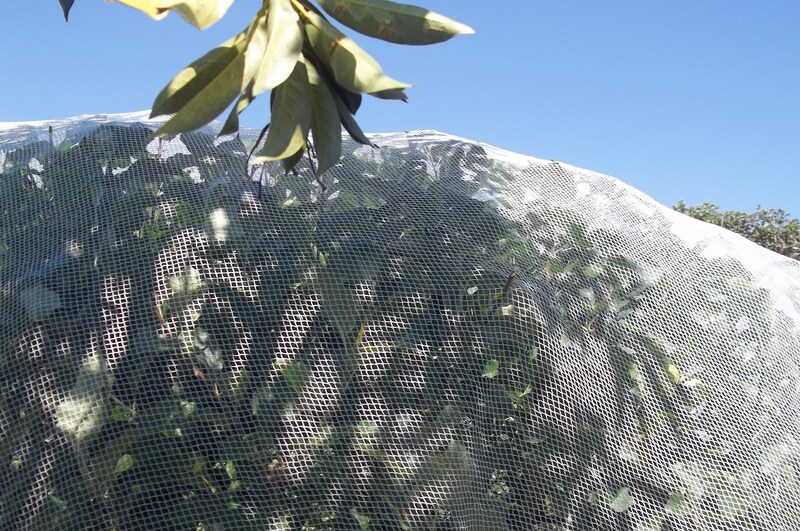 Netting – sleeves could be effective for small tree with little branches. I hope these netting sleeves will do the job. Sharing is a good thing, but the fruits are only a few. Let the birds get other food, I am sure they can find them easily. 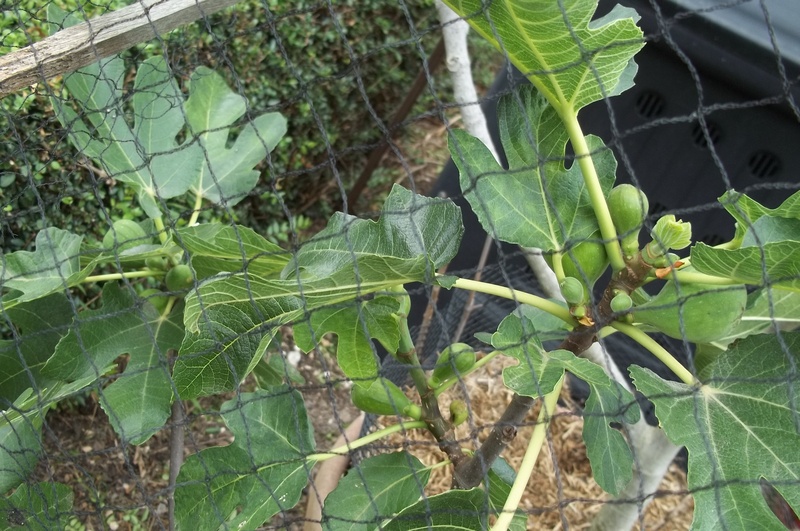 Last year the birds enjoyed the harvest before us, I make sure I will harvest them, taking care of the plants are fun, and more so having the reward. Anything else that is happening in the garden, yes of course, Rayner has been busy putting the net for his apple tree as well. The good news is that this time he will have a lot of apples. He looks after the tree very well, he should have a good crop. 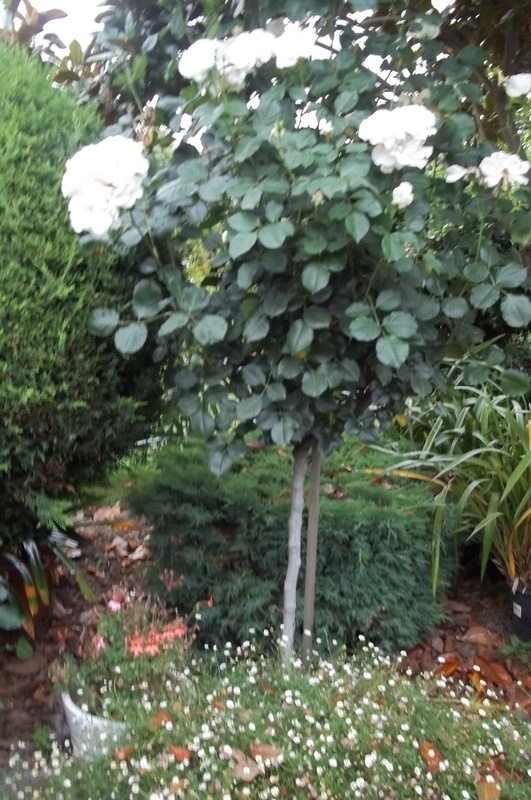 In the garden I work, enjoy and I am relaxed. To indulge and to escape for me is my garden. 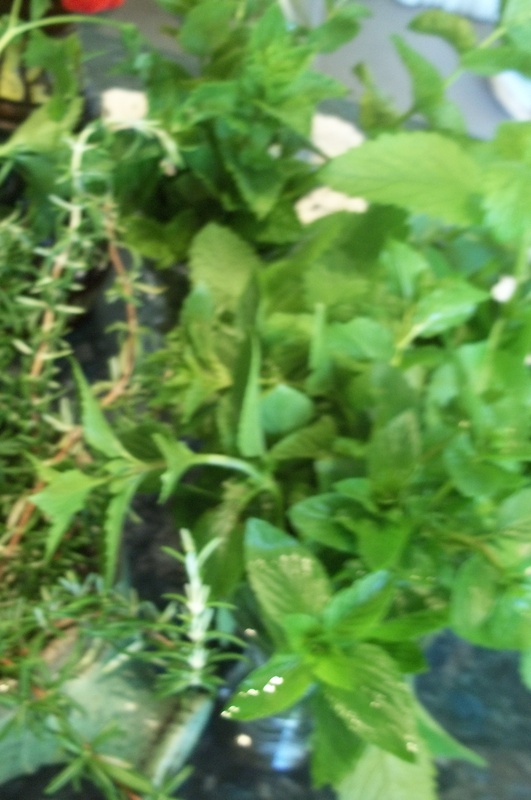 Pick the herbs early in the morning, wash and dry the excess water and keep in a cloth bag and refrigerate. 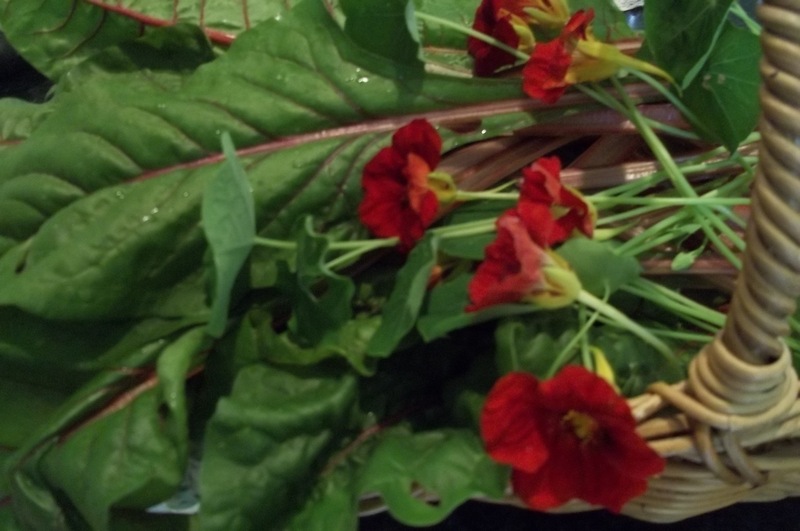 Or put in a salad spinner, work it, discard the water, and keep the herbs on it, they will last longer. 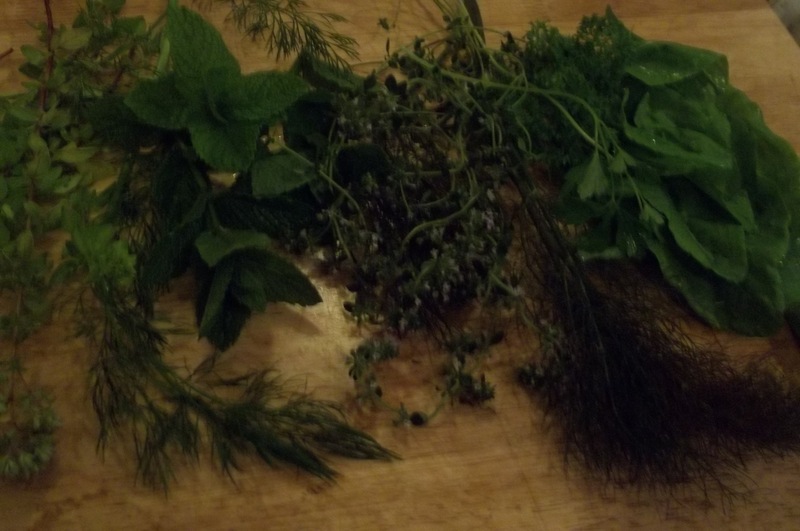 It has been raining for the past few days, and walking in the backyard was not very pleasant, water was everywhere, however I managed to get some fresh herbs. 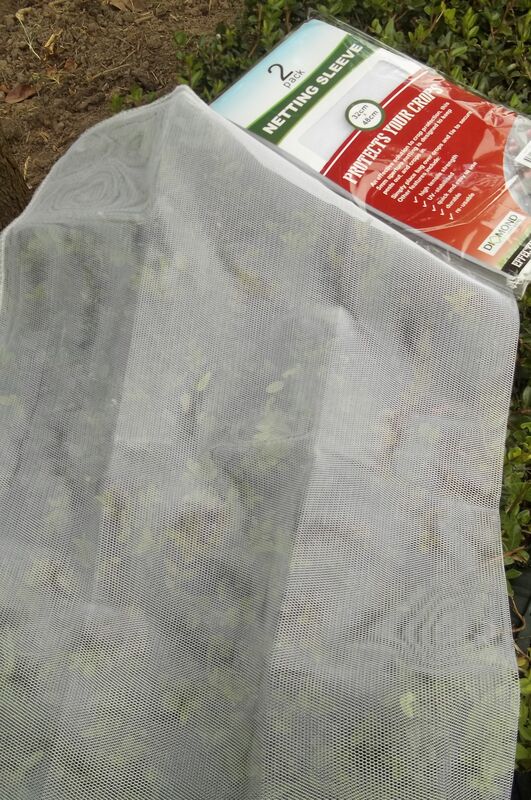 The mixed fresh herbs were wash, ready to keep for a week in a bag cloth and refrigerated. I often do this, particularly if my cooking needs a lot of herbs. 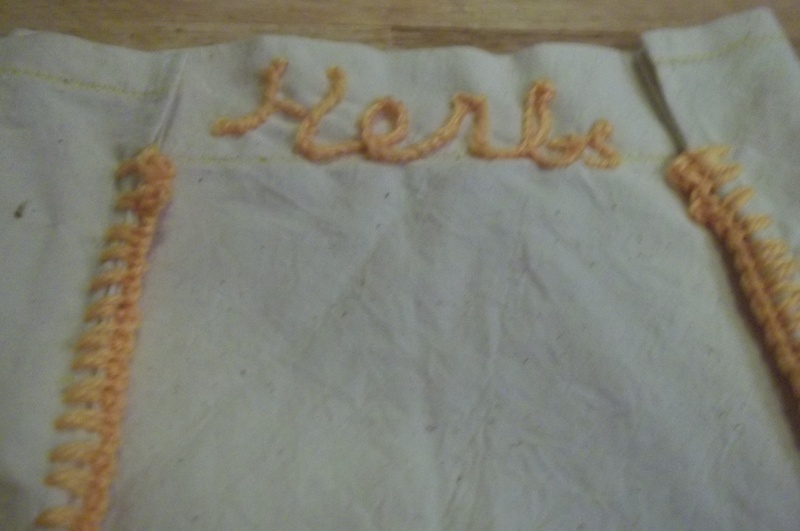 The bag cloth for keeping herbs, use cotton, calico or soft cheesecloth. 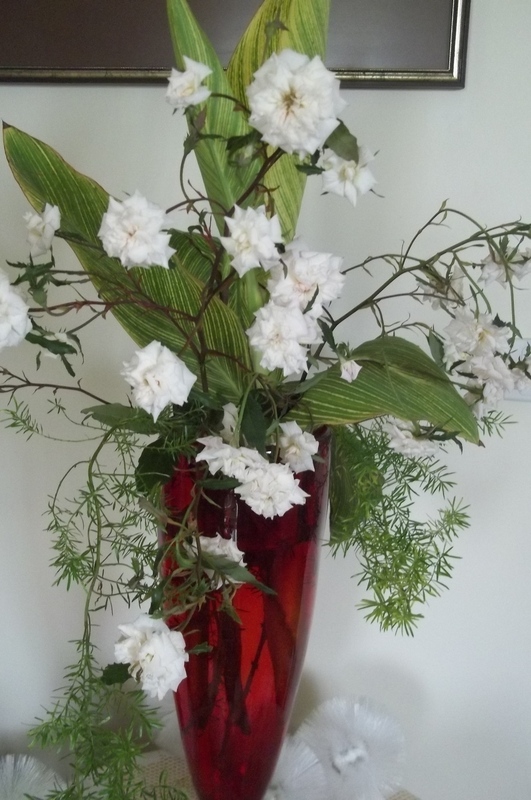 Other ways to store fresh herbs are inside salad spinner or place them in a vase as you would with fresh-cut flowers. Using Herbs, we could do so much with herbs. Use for cooking, garnishes, and add them to hot tea. Drinking fresh water in a jug, is much fresher added with herbs and also mixed fresh fruits. Lemon grass, kaffir lime leaf. coriander, curly parsley, flat parsley, thyme, rosemary, mint, chives, oregano, sage, bay leaf, lovage, basil and more. 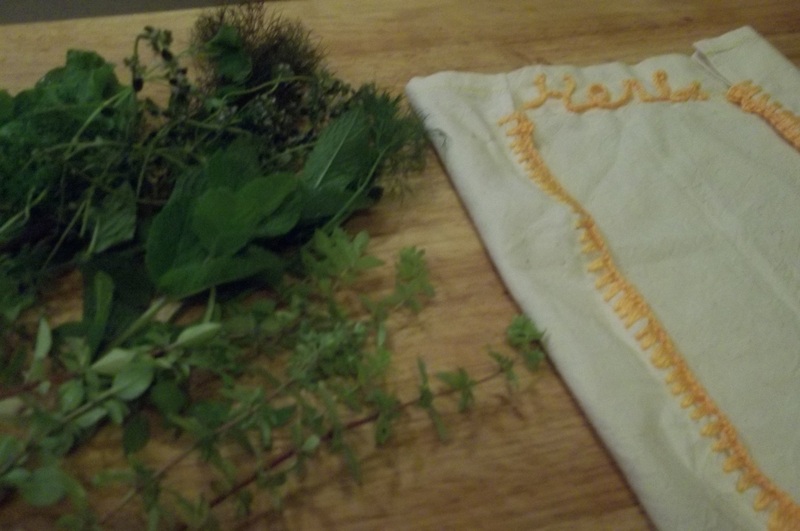 – For bouquet garni for stock preparation and cooking ragu-and stew: thyme, parsley, bay leaves. rosemary, and some leeks. Wrap these herbs using the green leek for the wrapper, and tie with a string securely. – Javanese cooking: coriander, lemon grass, kaffir lime leaf, salam leaf which are not easily grown in backyard garden. – Greek cooking: oregano, mints, bay leaf, rosemary, and basil, but mints and rosemary are the predominantly used in Greek cuisine. 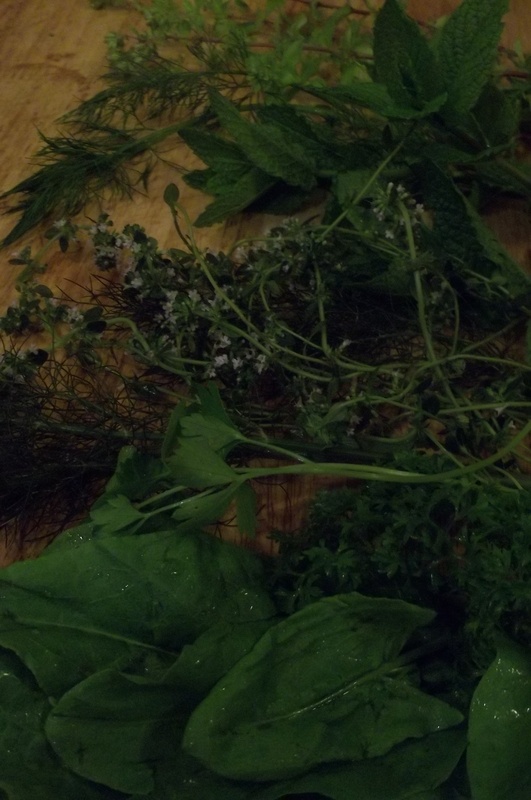 – French cooking: tarragon, thyme, rosemary, bay leaf, flat parsley. Roast chicken with French tarragon is very famous dish of French cuisine . – Spanish cooking: rosemary, parsley, bay leaf and saffron. 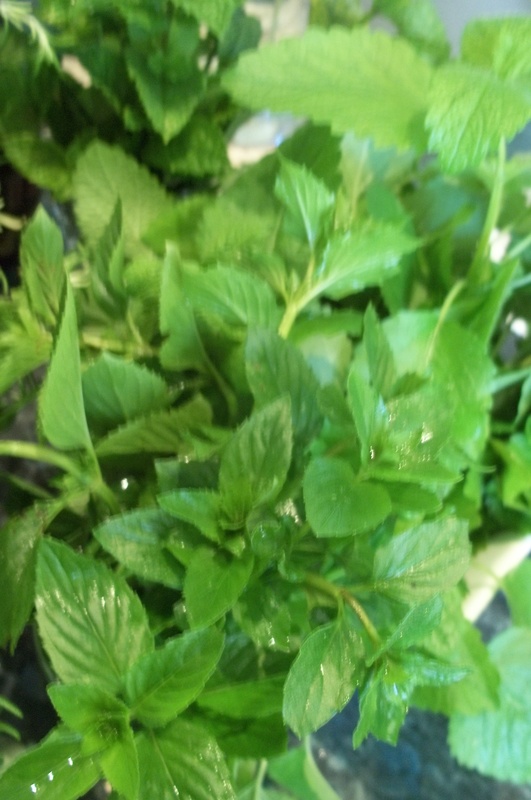 Herbs for garnishes: The dishes always look better if they are added with fresh herbs as garnishes. 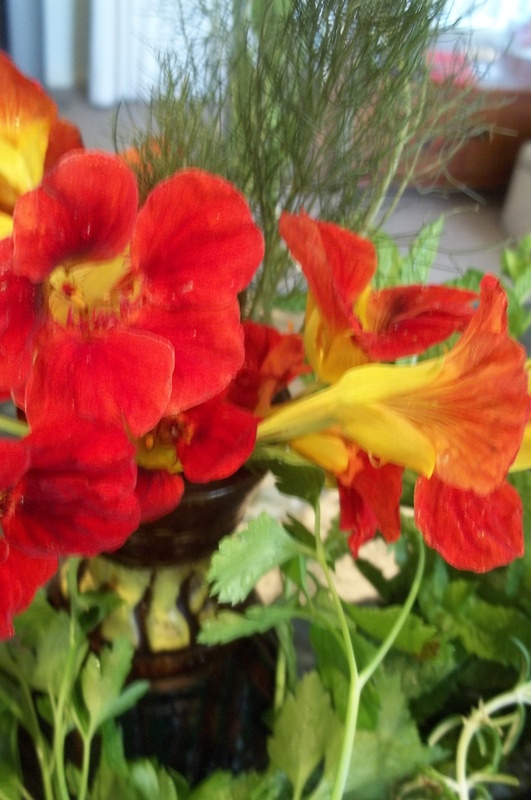 Herbs and edible flower for the best garnishes are fennel leaves, mints, and parsley, nasturtium flower, thyme, sage flowers and also rose petals. 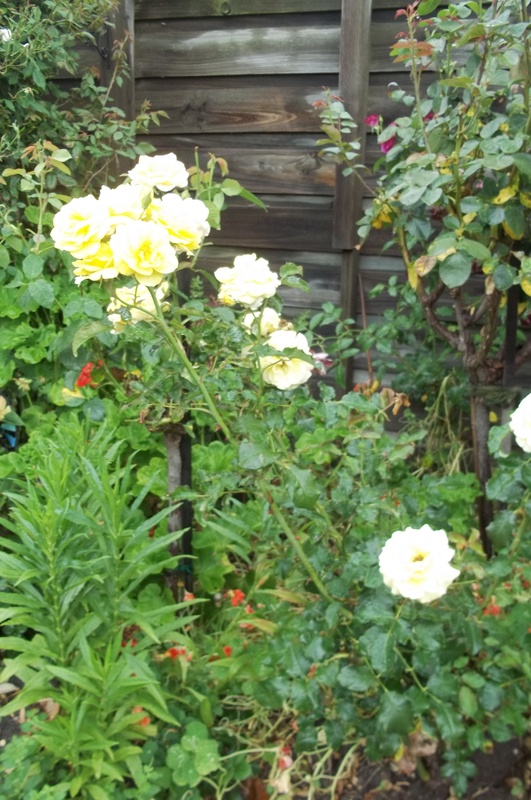 The good rains made the garden look fresh, and the vegetable patch is so good, the herbs and the greens are looking well, they are flourishing and the Swiss chard are so leafy. The potted herbs don’t need much care, the soil is moist and wet. Vegetable and ricotta pie is going to be cooking for the day, to make the best of the fresh vegetables, now it is time to pick them. 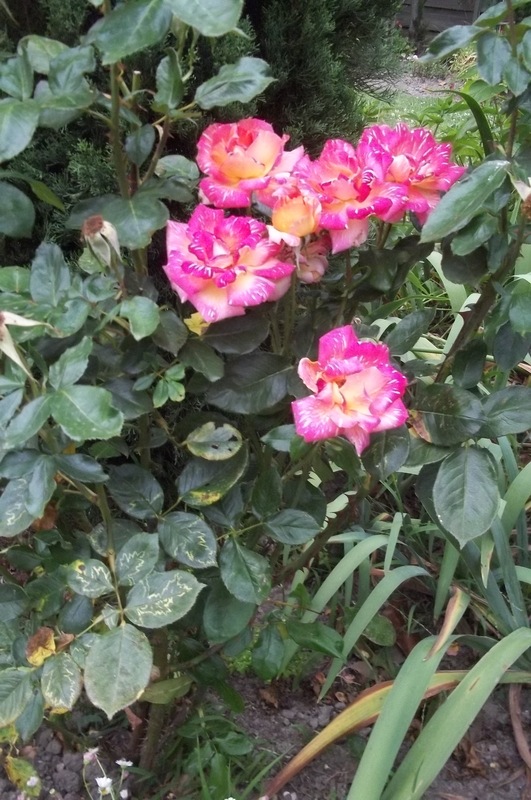 It is summer in Australia, and in January it can be very hot more so in the afternoon, but I like to work in the garden early in the morning before the heat gets to intense. 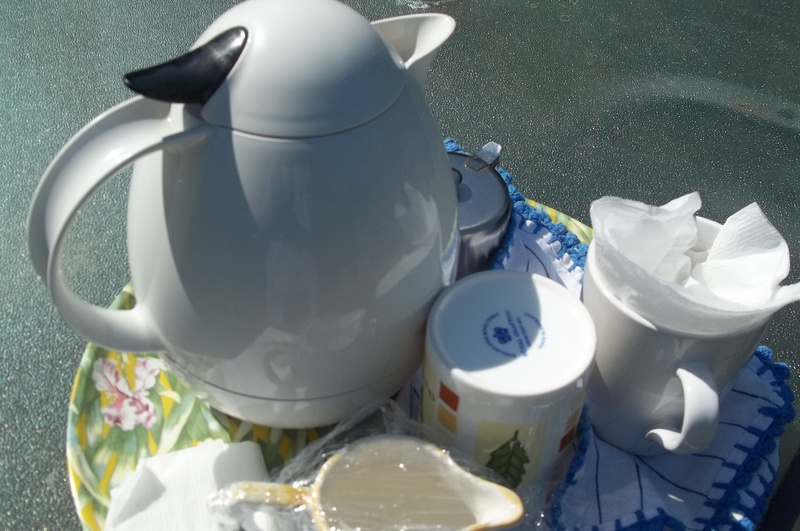 As always in a hot day, preparation for the day’s meals, have to be done early before gardening takes place. The grass needed to be cut, plants needed water specially the potted plants. It looks much better now, and the plants look less tired. 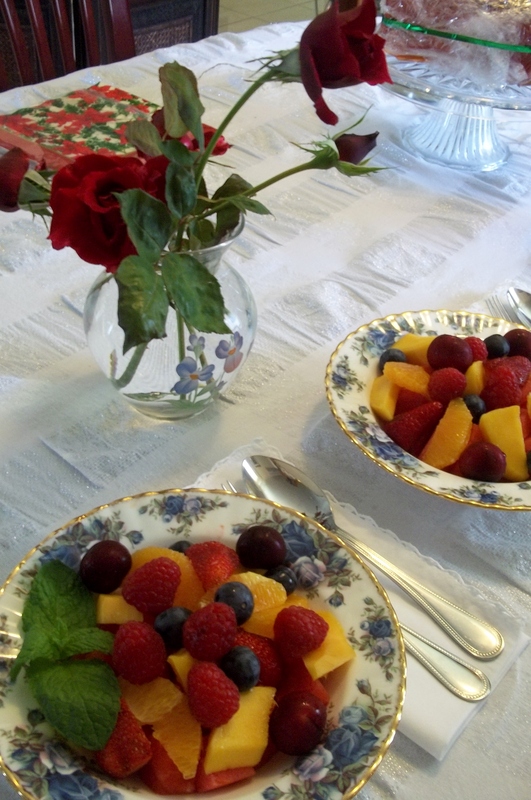 We both worked in the garden, a lot of drinks, fresh fruits were prepared to keep us going. 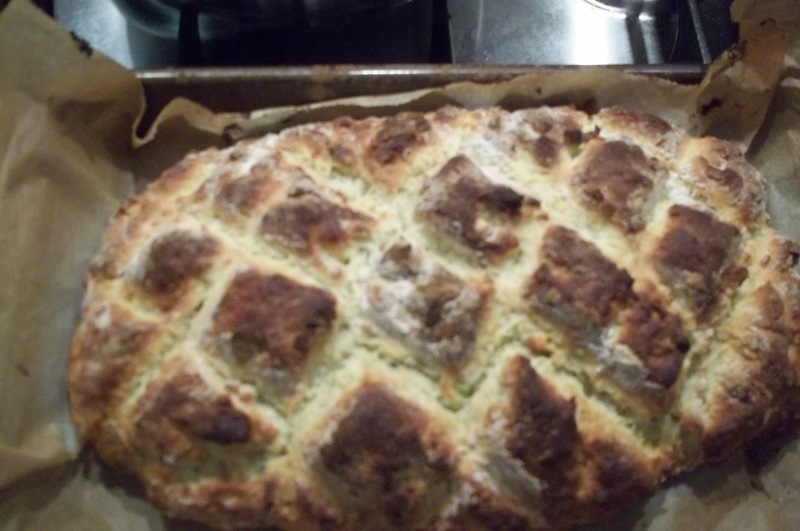 Home baked quick bread was in my mind for today’s cooking, I did it in the morning, and only took about 5 minutes preparation and 18 minutes to bake it. The Recipe for the bread is here for you. I wrote it down as I remembered. 2 tablespoons mashed avocado. 1 teaspoon salt, 2 tablespoons vegetable oil, 1 egg, 1 tablespoon yoghurt, and 1/2 cup milk. Mix all together. 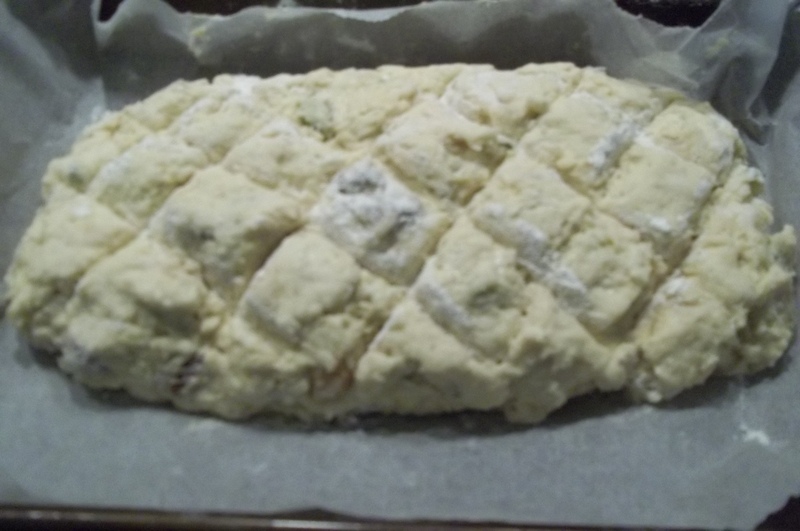 Add the avocado mixture onto the flour, all at once, mix in with the flour quickly to make a soft dough. 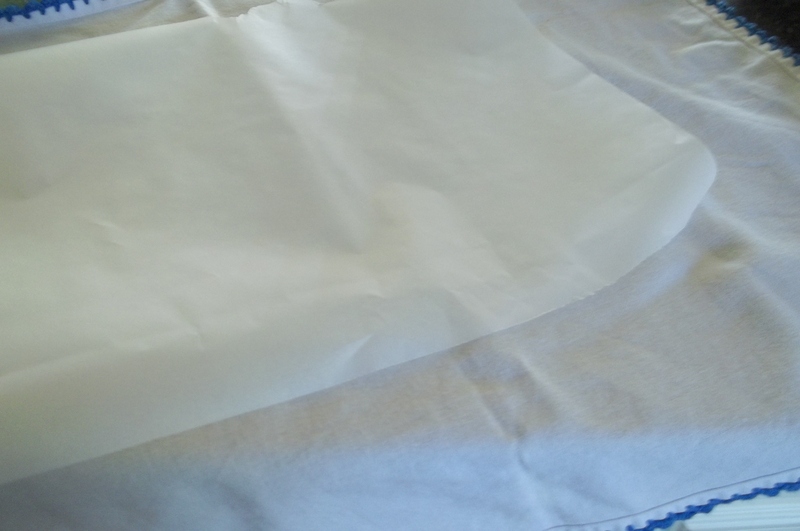 Transfer on a lined paper baking tray. 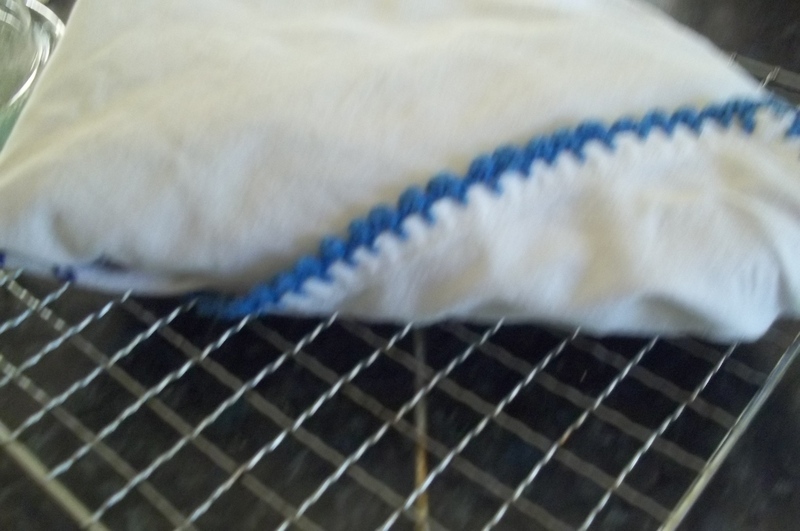 Shape in a long loaf and mark it across with knife. 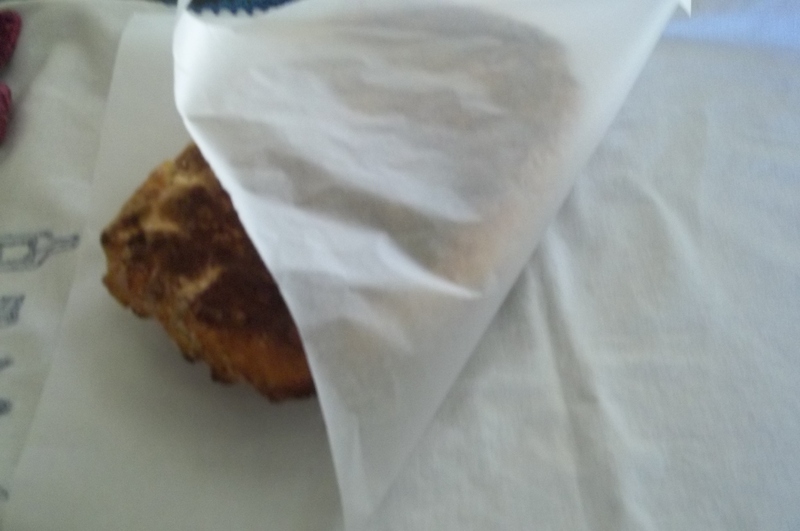 Bake in preheated hot oven at 210 (a fan forced) for 18 minutes. It worked in my oven. Please adjust if it is needed to bake in yours. 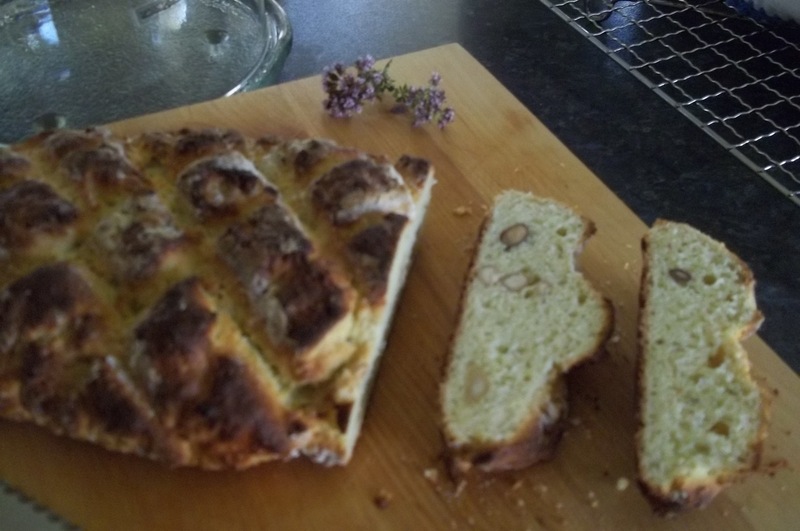 Delicious freshly baked quick avocado bread, slice and spread with butter to serve. It keeps well in the pantry for a couple of days, or freeze it up to a month. 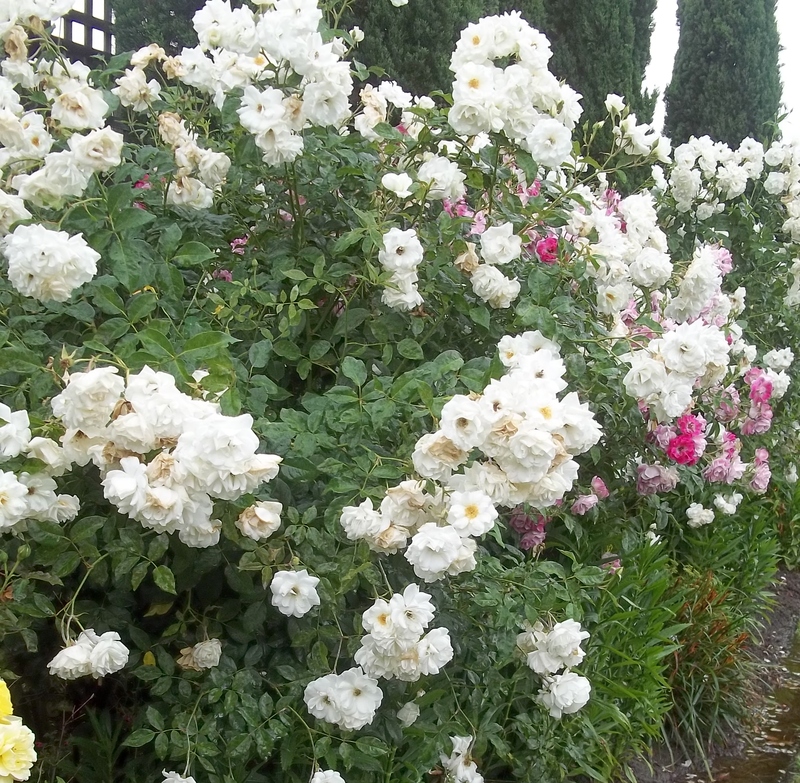 In the backyard, our roses have been flowering again, they are the second round and they are not as good as the first, however the garden does look colourful now only a little dry. 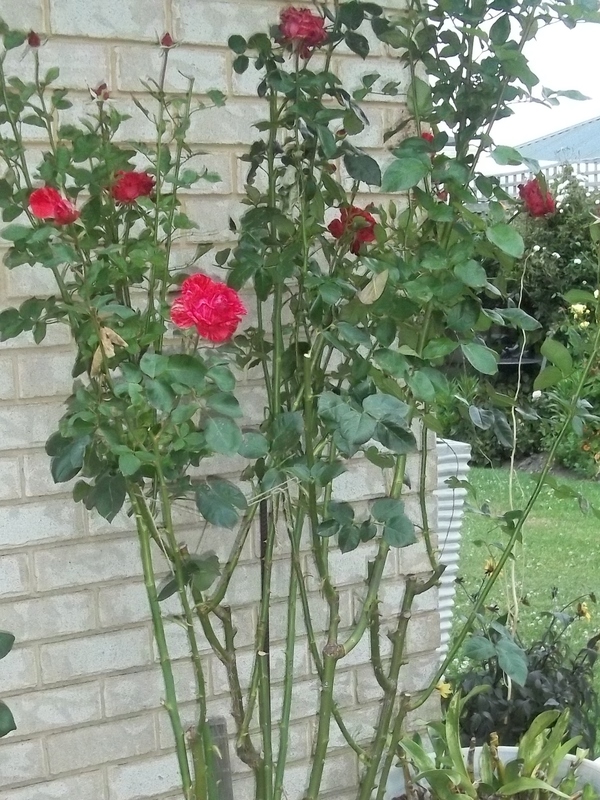 More roses are in bloom, and the red vase is filled up with Cecil Brunner’s rose. The grass become yellowish soon, as the hot weather continues but it will come back to be green in March. I don’t believe in watering the grass or lawn, it is not necessary, and it wastes water. 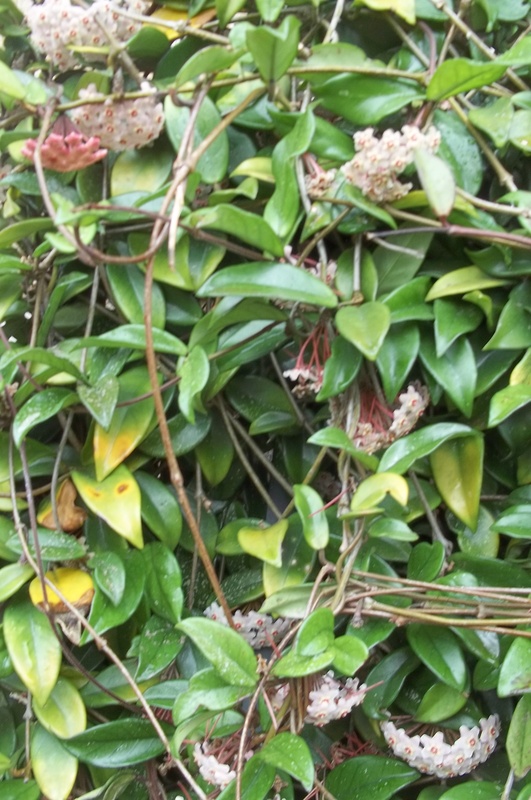 Gardening in January is tiring, the weather is not predictable, it can be hot with summer rains, cool, or hot and dry. There are good things about January in the garden though, we could spend time there in the evening, enjoy fresh air in a cooler day and have our dinner outside. The days are longer, and can be pleasant too. 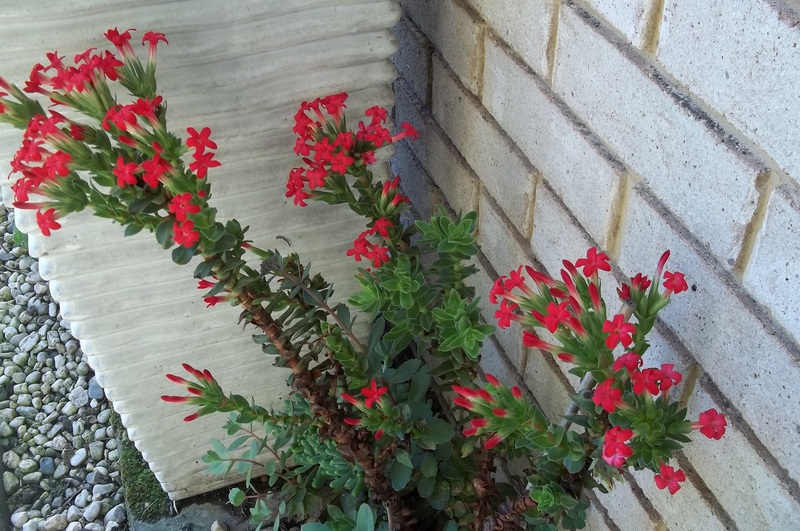 Summer flowering plants are beautiful, such this flowering red succulent, is so pretty. And not to forget about the vegetables harvest, zucchini, beans, chillies etc. 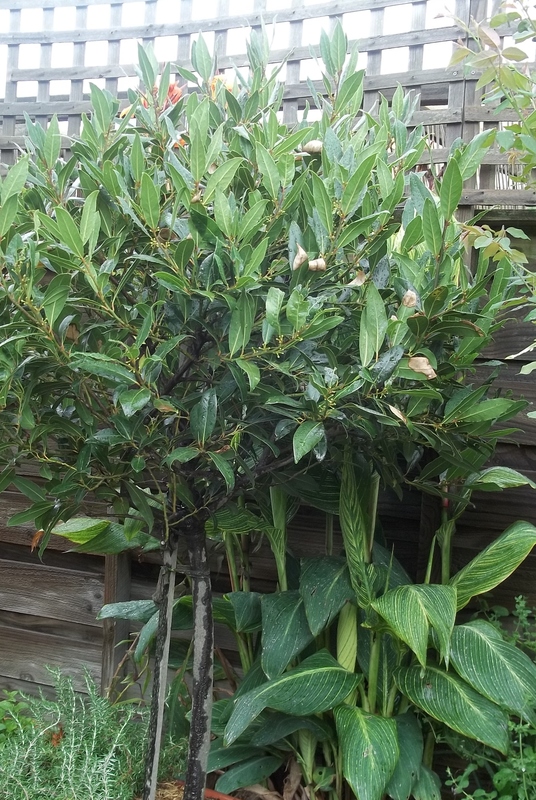 These two are Hoya plants, one of them has been in the pot for over ten years, and the other one was transplanted three years ago. 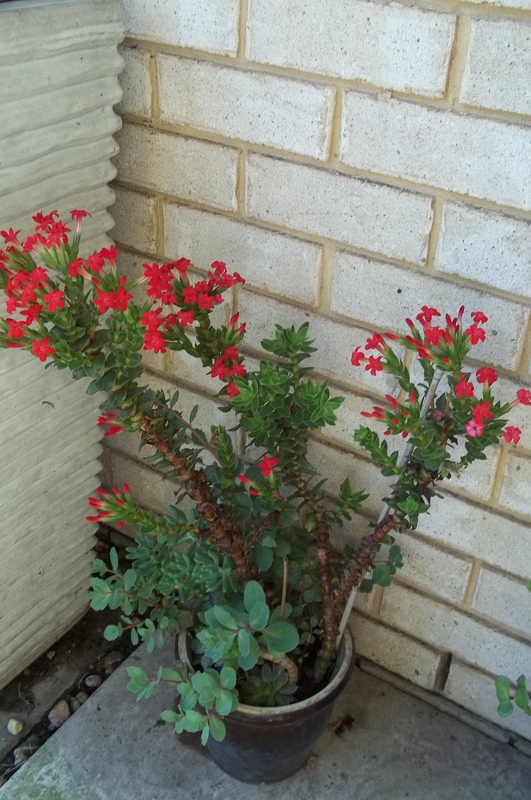 It was a mature plant when it was transplanted, and now it is in flower. This month is hot but we have enough rains, it is good for a change, the cool rains are very welcome, they make the leaves, the flowers, the bushes look so fresh and lovely. In the garden, after the rains. Regardless unpredictable weather in the month of January is, I am still loving it. 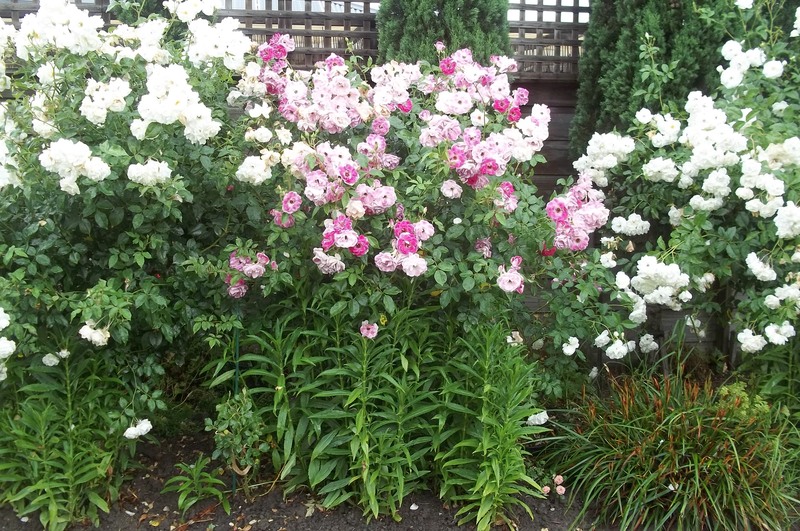 Hot, dry, wet of the rains, we will be busy in the garden from taking care of up to make it better. There are plenty of rooms for improvements, for sure. 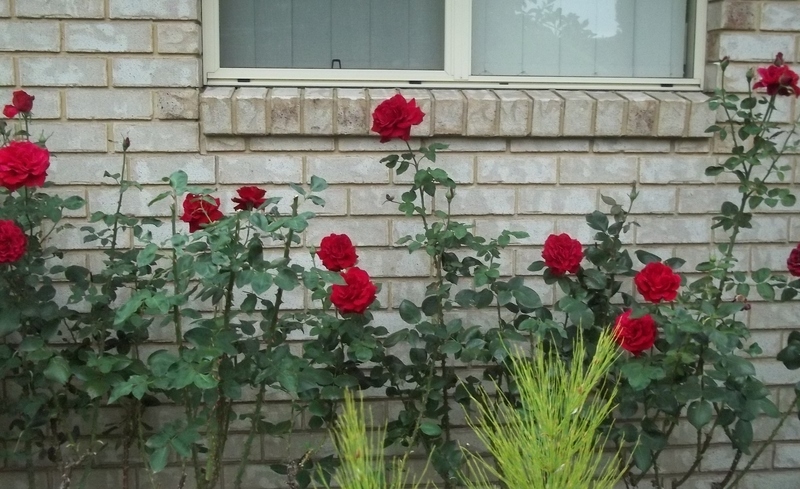 Today is very hot in Traralgon, I think everyone is waiting for a change. It has been like this for the past few days, we get tired so quickly and at night cannot sleep well. It is a time that we must do relaxation and be calm.No cooking today, but we must have a lot of fluid, drinking a lot of water is important, but I could enjoy hot tea. 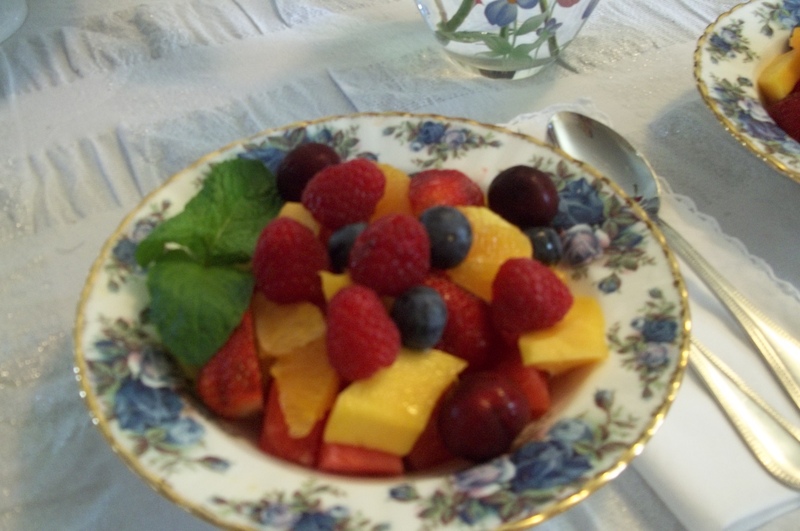 Beautiful collection of fresh fruits is our dinner, and they are so refreshing. 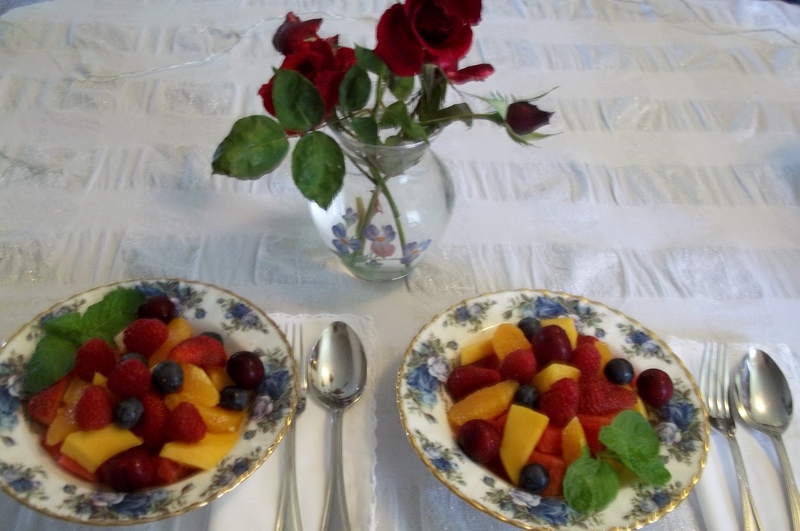 Fresh Fruits: watermelon, mango, orange, strawberries, blue berries, raspberries and cherries. 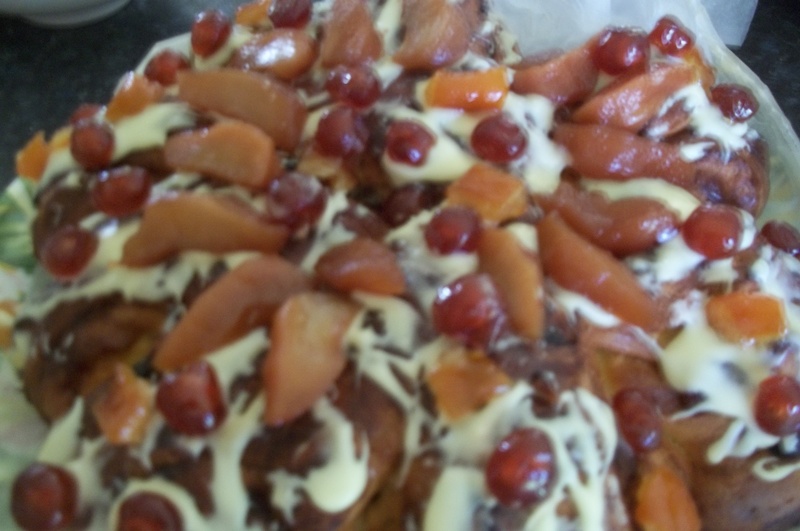 That was our dinner, we closed it off with a hot cup of tea and cake. Indeed it was enough for us. 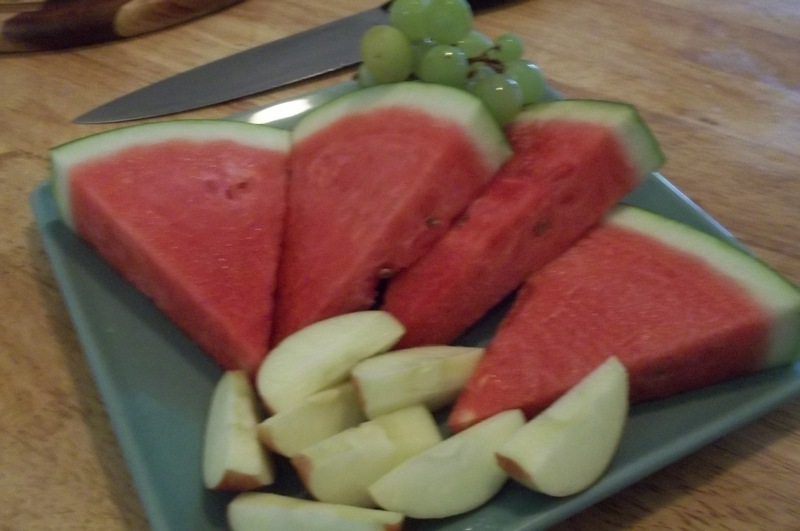 Eating light for now is good, we have been eating and feasting since Christmas, now is the time for fasting, our body needs it. My best wishes for a happy and prosperous New Year to you All. 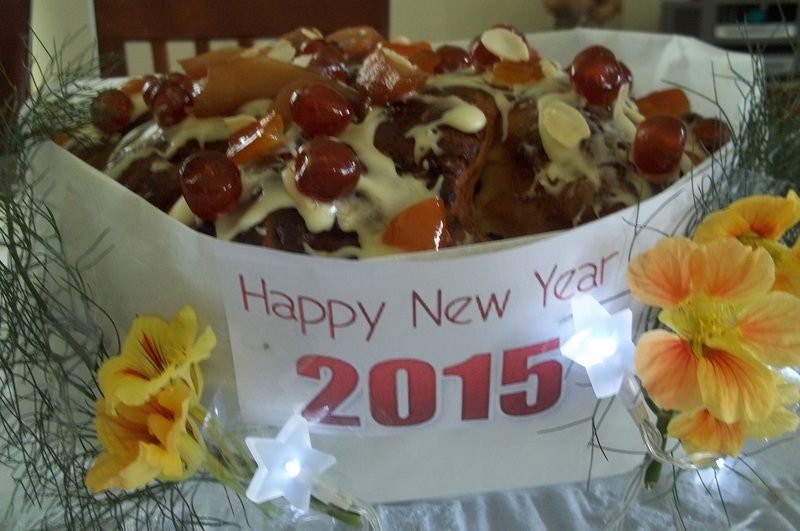 Happy and healthy New Year 2015, be peaceful and stay in good health. 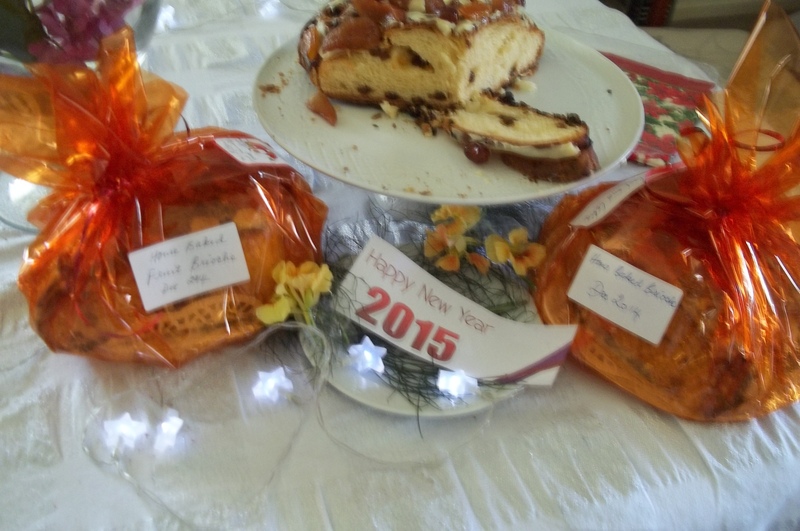 We stay in and enjoyed the last day of the year but I am so pleased to be able to share the New Year’s cake with family and neighbours. We are blessed and grateful. I had a great year and a lot of fun posting in my blog, thank you all for your support.